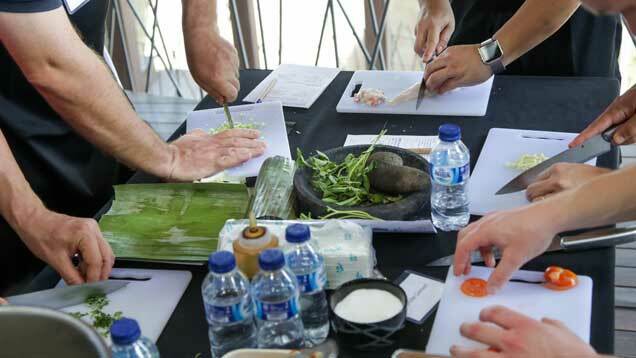 Join our popular Balinese Cooking Classes and learn from the best chefs in Bali. Or embark on one of our cultural tours to take in the sights and learn the traditions of this amazing island. 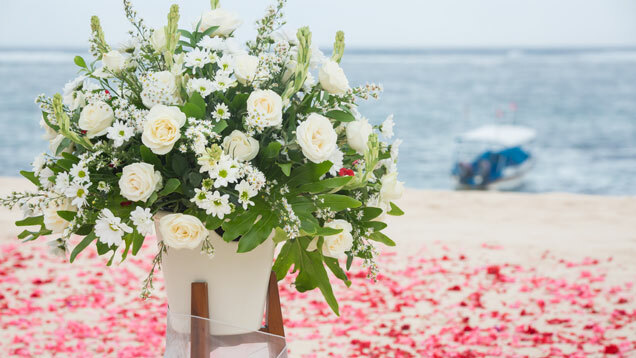 If you would rather stay closer to 'home', book in for a yoga session or one of our Romantic Dinners, where you and your partner will dine on delicious gourmet cuisine under the stars by the Main Pool, in the privacy of your pavilion garden or on the beach. 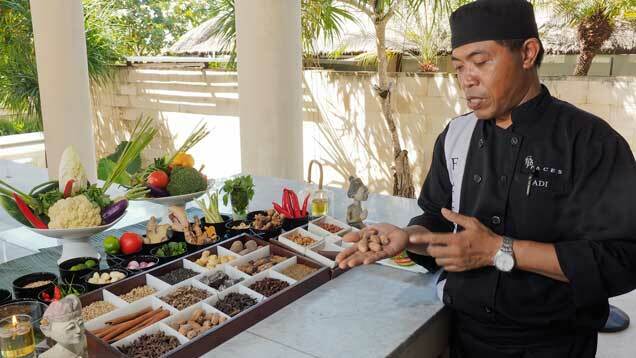 Our local Chef is honoured to share with you some of the secrets of Balinese cuisine. 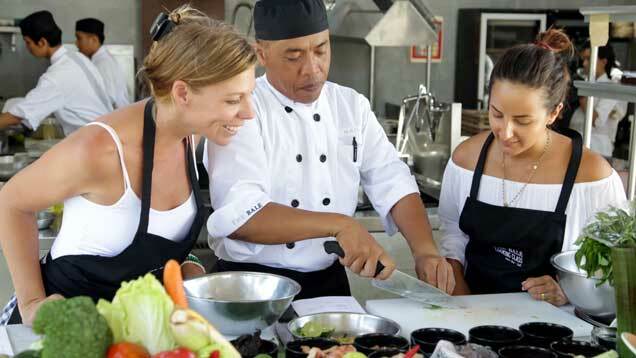 You will get to be our Chef's guest sous chef for the day, starting in the morning picking the best produce at market, then discussing recipes and finally preparing, cooking and – the best bit – sampling your own delicious creations. 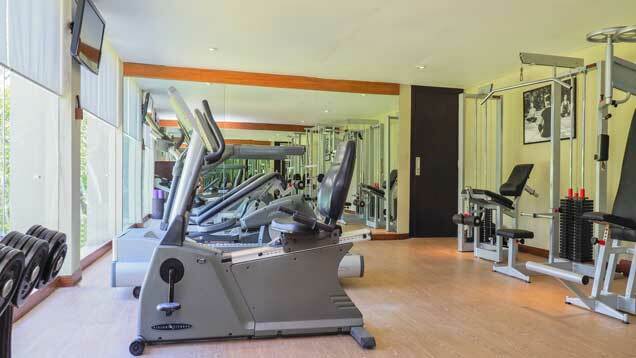 Stay in shape with a workout at our well-equipped Gym, which has resistance machines and free weights and is open 24 hours. 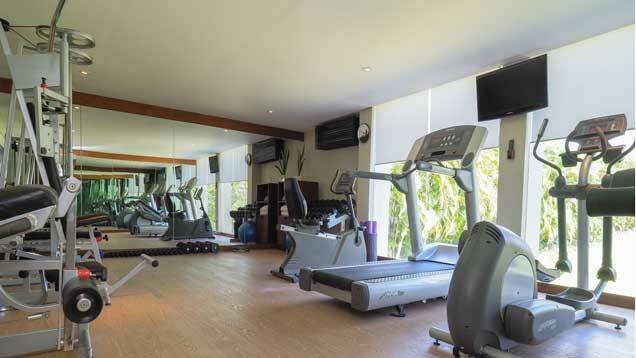 We have our own in-house personal trainer who can tailor-make a workout with you for your specific needs. Also, we offer a number of free activities such as stretch sessions. 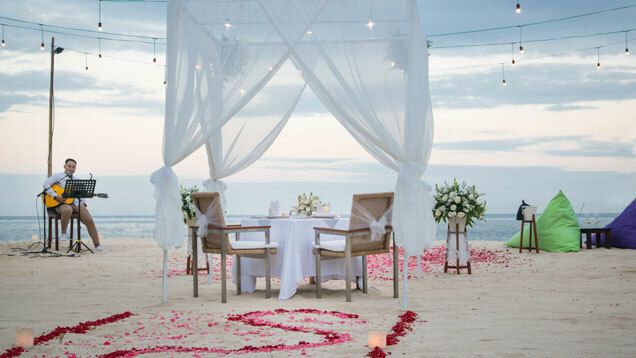 Discover the ingredients for romance by treating your loved one to a romantic candlelit dinner under the stars. 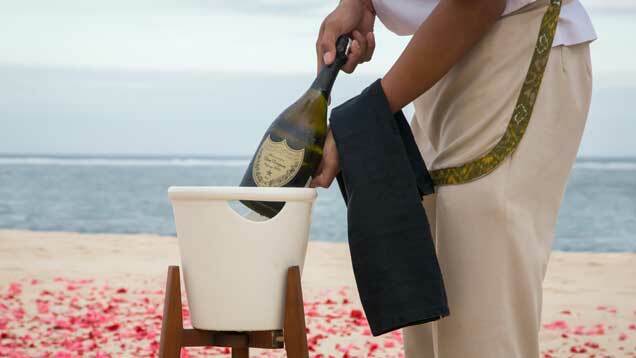 You can dine by the Main Pool or in the privacy of your pavilion garden, or we can organise a romantic beach BBQ where you dine together on the sand with the gentle waves at your feet.